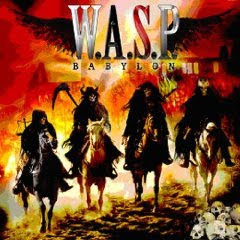 Hall of the Mountain King: Review: W.A.S.P., "Babylon"
I could make this review short and sweet and just say that W.A.S.P. have recorded their album again. Or, perhaps more appropriately, that they've recorded their song seven more times. There was a time when W.A.S.P. was a favorite of mine. Their debut, "The Last Command," "The Headless Children," all of those records spent quality time in my stereo and still get their share of listens these many years later. But since the 1990s, Blackie Lawless and Co. just haven't been able to break out of a rut of sameness. Oh, there have been glimmers. The industrial-influenced "K.F.D." was interesting, and the down and dirty rocker "Helldorado" had its moments, but by and large, everything they've done since "The Crimson Idol" has had a sameness to it. Generic riffs, generic melodies, generic vocals. "Babylon" doesn't break the mold. A concept record of sorts, based on the Four Horsemen of the Apocalypse (what originality), "Babylon" opens with an attempt to make fans believe this is a return to their classic sound with "Crazy" which owes its main riff to "Wild Child," but that's where the similarities end. It's probably the best of the originals on the record, though, as "Live to Die Another Day" takes us quickly back into the same stuff they've been doing for the past 20 years. There's another moment of hope with the rawk guitar on the opening of their cover of Deep Purple's "Burn," but as soon as the rest of the band kicks in, we're back to Sameville. Ballads "Into the Fire" and "Godless Run" offer a change of pace, but nothing very interesting. The latter tries for heavy emotion, but comes off a bit corny. 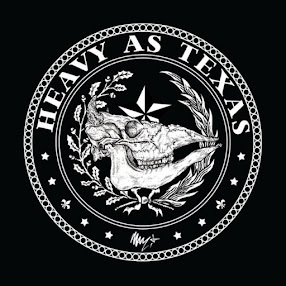 The most original thing here is the band's slightly Southern-fried cover of Chuck Berry's "Promised Land" which closes the record, but even that we've heard from them before. For the most part, all of the songs here tend to run together, just like most of W.A.S.P. 's records for the last 20 years. Every time they release one, I give it a chance in hopes they'll get it together and release something that hits me the way those early records did, but at this point, it doesn't look likely.